Ford Taurus will go down in automotive history as being the best selling sedan for Ford Motor Company. The Taurus was introduced in 1985 and was discontinued briefly in 2004. Public outcry forced Ford to put the Taurus back out and it remains in production to this day. The V6 power behind the Taurus is hard to ignore. 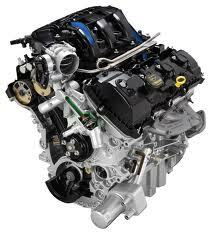 We carry used Ford Taurus engines at web-only prices that offline engine sellers can’t match. 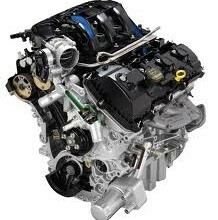 We’re one of the only used engine dealers online that have a huge genuine used Ford engine inventory. We work hard for customers here and it shows in their repeat business to us. Our business model is simple to understand. We know the legacy of the Taurus. We speak with our engine reps that work for top suppliers of automobile engines in the country. We describe the Taurus engines we need and these professionals send us quality engines. We allow our mechanics on staff here at our company to look over what we get in stock. It is from these reviews that we base our prices and how long each engine warranty will be. We sell great condition used Ford motors here and our customers don’t pay high prices to own engines. There are different versions of the V6 engines we find and sell. There is the Vulcan. There is the Essex. There is the Duratec. Each engine comes from a separate wholesaler. We provide this range of motors so that customers can find the approximate engine they need. The power of a Taurus V6 is something special and we preserve the engine condition. Our mechanic evaluations don’t stop with a thorough review. We can often provide computer testing that helps us pinpoint the specs to approximate numbers. These tests are useful for every Ford Taurus engine buyer. We understand the specs and know that in order for engines to be OEM the specs should match. Getting a used Ford Taurus engine warranty here is simple. All engines are sold from our website with a certain time period of coverage. This is the coverage this is designed to provide protection after the installation period is over. Since we sell to a mixture of customers, a professional or non-professional could perform V6 engine installations. We backup all pricing and quality that we give in our engines. If something goes wrong, we take care of any issues fast. The used engine market does not have to have a black eye anymore. Our quality is above average and is designed to impress even the most demanding customer. We like simplicity with engine quotes. We’ll match you with the V6 Taurus engine you need over the phone. Our database is accurate and our pricing will never change overnight. Make use of the quote system we offer on this website as well. Choose the year and the vehicle type you want and you’re given our online price immediately. It’s simple and lets you get prices 365 days a year. Get your price now.